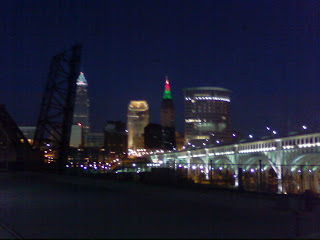 The Cleveland skyline shows the holidays are here! 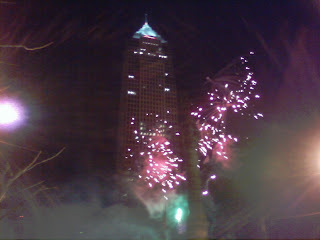 I was lucky enough to get some passes to Winterfest 2008. Narm, his girlfriend and I got to sit on the square and see the parade (of horses). Superior was littered with, well, what happens after horse eat what they eat. 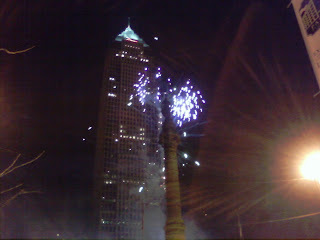 After the parade, fireworks lit up Public Square. The show was great. 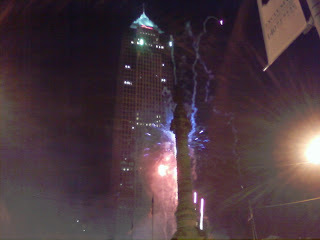 I will say I miss the old tree lighting with carols, the ice skating rink and Santa lighting downtown Cleveland. Francesca somewhat nicely insisted we get some Starbucks. Since when recently am I able to pass that place up? Pfft!, but whatevah! We were also invited to the after party at Cadillac Ranch. 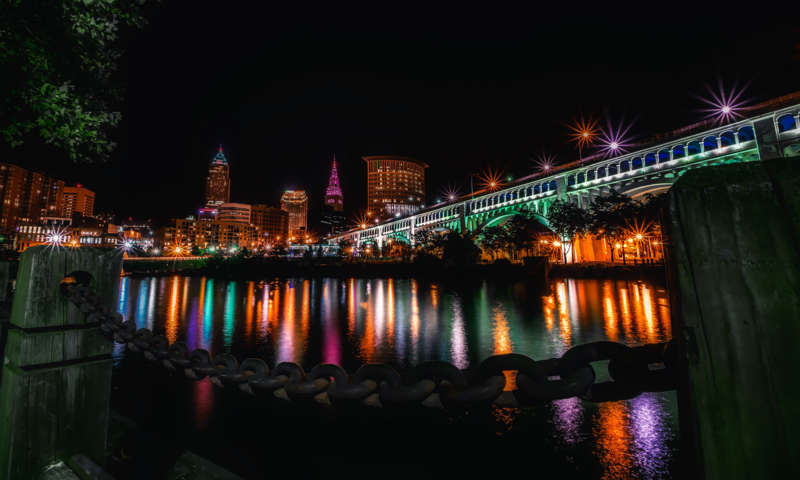 The night was nice, enjoy the pictures!